High-performance Hair Growth Factor Treatments to Strengthen and thicken thin hair. The # 1 instant hair thickener. As used by actors and newscasters worldwide. 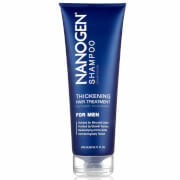 With over 10 years experience in cutting edge thickening treatments and the world's best performing instant hair thickening line, Nanogen are the experts in thicker hair. 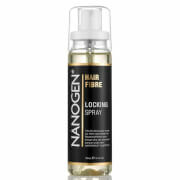 Rather than following the latest fad, Nanogen experts developed their own ground breaking technologies like Hair Growth Factors for treatment and Kinetic Fibres for styling. This innovative approach has won the endorsement and recommendation of hair specialists, dermatologists and grooming experts worldwide.